I don’t have a convertible. 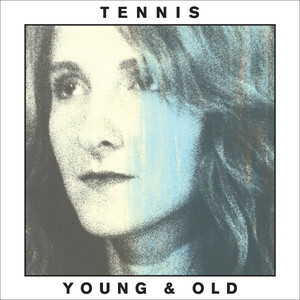 But if I did, I’d drive with the top down and rock Tennis’ new album, “Young and Old.” The sophomore album from Denver duo Alaina Moore and Patrick Riley is just that: music you want to have on in your convertible, driving down a winding highway on the coast. Sometimes dubbed as “yacht rock,” or “lo-fi,” Tennis’ pared-down style and upbeat tempo makes you just want to sing along. The band’s first album, Cape Dory, spent a short stint in my heavy rotation. However, Young and Old will not go the way of Cape Dory for me. This album is much more polished and clear. Moore and Riley seem focused and comfortable in their musical seats. Produced by The Black Keys‘ Patrick Carney, the album sounds romantic and summery, while still very practiced. One of the stand-out tracks on the album is the single “Origins,” which starts off with languid guitar riffs and synth, and then moves into Alaina’s honey-sweet vocals. The chorus sticks in your head immediately, and then surprise: there’s this fantastic reverb-y guitar behind it that I hadn’t heard from Tennis before. Other great songs are “It All Feels the Same,” which I’ve had stuck in my head for days, and “Petition,” which has another catchy chorus. If you’re a fan of convertible-worthy tunes, or even if you’re not, definitely give this album a listen. It’ll have you looking forward to summer immediately.